This past weekend, as my feed on instagram and facebook was flooded with nothing but Beyonce, I took a moment to think about why even after all she has accomplished, people still scream her name and sing her praises lounder than ever. It got me thinking.. 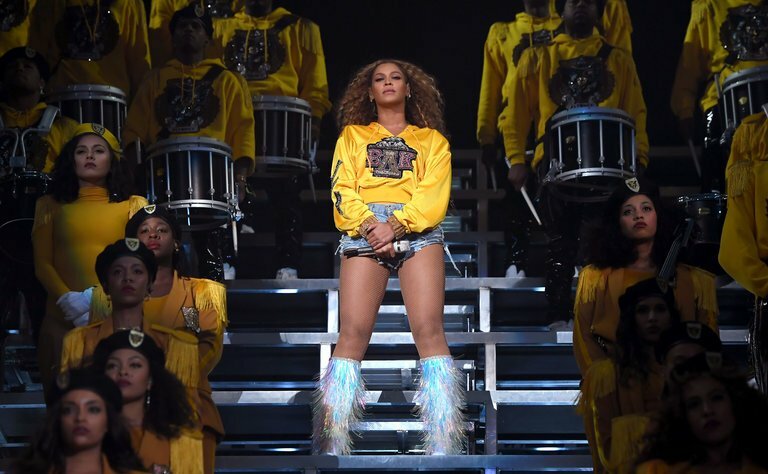 There is a valuable lesson or two to learn from Beyoncé. Now I have never been in the hive ( breathe people) BUT I respect Beyonce. She is not only an amazing performer but a smart and successful business woman. I truly believe there are some lessons entrepreneurs can learn from this amazing woman. She can honestly stop at where she is now and still sell out concerts and smash billboard records but she doesn't stop pushing and giving her fans more. As an entrepreneur, you should never get comfortable. Strive to be better and do more. Better than the last. She is not afraid to push the envelope a bit and try something new and unexpected. She continues to push herself and continues to wow us. She commands respect and its not by bullying. Beyonce is without a shadow of a doubt, a super talented artist and a role model for a lot of people. When she speaks, people listen. She is not afraid to be vocal about real issues from race to equality and women empowerment. Despite her success, she continues to work with others. She is well aware of the fact that growing and success comes from involving others so she collaborates. From other artists to dancers, drummers. You name it. She involves them all and it makes her performances so much more entertaining and unforgettable. It takes a village to create something spectacular and she knows that. She knows that to grow and succeed, you cannot do it alone. She also takes the time to thank her dancers and performers. Sometimes, we see just a little bit of success and we let ego get in the way. In order for others to continue to kill for you, some gratitude must be shown. Acknowledgement and simple words like 'THANK YOU" go a long way. She lets her success make the noise. When she is working on something big, no one knows about it and she delivers and leaves us speechless. She is not loud or boastful. For her coachella performance, we knew she would perform but we had no idea what was coming. I am a true believer in working in silence. The end results will speak for you. We worry too much about what I consider to be "noise". These are mere distractions and as entrepreneurs, we must learn to shut it off. Ignore all that noise and focus on your work and the results will be beyond amazing. No need to brag or boast. She is constantly including destiny’s child in her performances. Can she entertain a crown without Kelly and Michelle? Absolutely!!! But she performs with them and shares her platform with them. The group that got her out there. I read on Forbes that Beyonce's first record label dropped her. How we respond to disappointments and rejection is going to define our success. It would have been so easy to walk away and quit but she didn't. Now her first name alone holds so much power. If you believe in something, never quit! I once saw Beyonce perform and she tripped. She danced it off like a champ and gave us her all. What fall? Beyonce reminds us entrepreneurs that you can have it all. A successful career, family, the works.. ..with hard work and determination. As a woman, she has shown us that you can have power, success and the joys of life if you will it. I am always amazed at the zeal and work ethic of Beyonce and hope she inspires you as much as she inspires me.